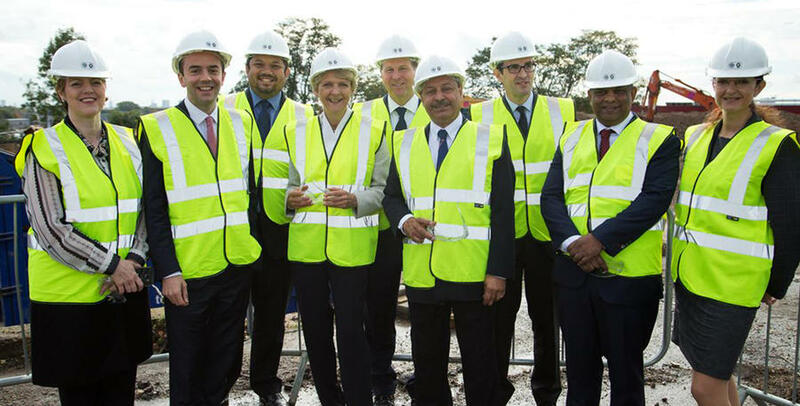 QPR co-chairmen Tony Fernandes and Ruben Gnanalingam last week welcomed Deputy Mayor for Housing James Murray to the Oaklands regeneration site on Old Oak Common Lane, where work has begun on 600 new homes in a joint venture between QPR and Genesis Housing Association. Murray - pictured below - helped to demolish part of the old Oaklands hostel, which has been derelict for thirty years and will make way for the new buildings. 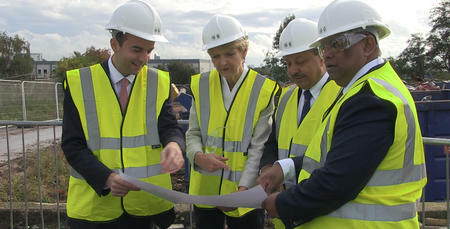 He was joined by Old Oak Development Corporation Chairman Liz Peace and Dipesh Shah from Genesis Housing Association. The regeneration – the first major development in the Old Oak area – is part of a plan to secure QPR’s long term future by finding a sustainable new home for the club. 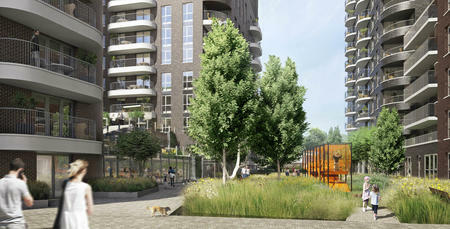 Fernandes told www.qpr.co.uk: “We are delighted to be working with Genesis to develop the Oaklands site. "The fact that we are creating 600 homes for Londoners, including many affordable homes, ten years in advance of HS2 shows that there is plenty that can be achieved at Old Oak well before the new high speed line is finished. Fernandes also confirmed that the club is still looking at possible new stadium sites. Residential development to fund stadium construction has been used successfully by other football clubs to create stadiums that can be used all year round for a variety of commercial and community uses, generating extra revenue for the club. Loftus Road is currently the third smallest ground in the Championship, and lies virtually empty much of the year as it is not suitable for significant non-matchday use.